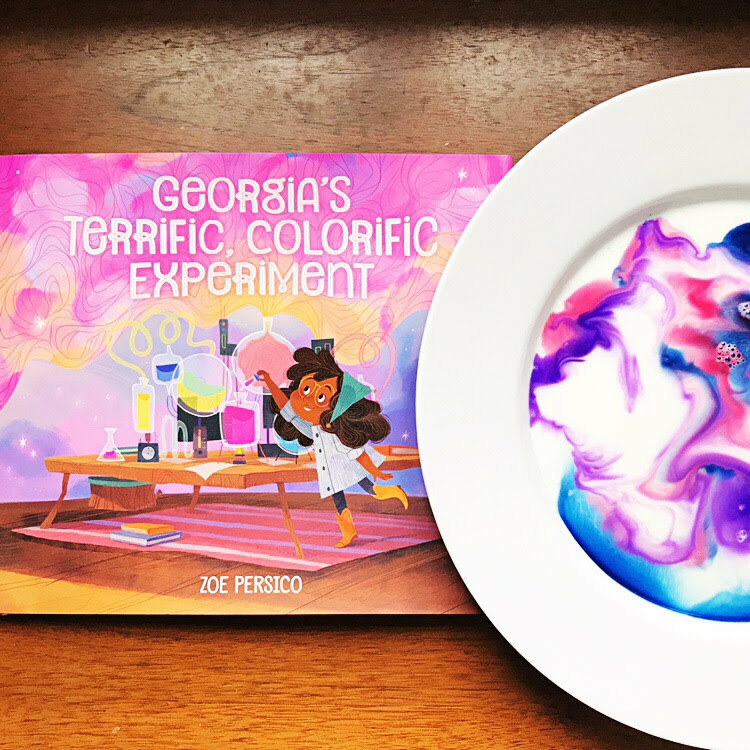 Totally inspired by Georgia’s colorful mix of art and science, we decided to try out @raising.kinley ‘s incredible swirly milk explosions. And boy do they not disappoint! Every step of the process, from dropping in watercolor to the final reveal is completely engaging. And oh the science! Thanks to our random discovery of a Canadian kids’ show, Science Max, my kids are reeeeally into science these days. We’ve experimented with baking soda and vinegar in about every possible way, but they were ready to move on. Enter: swirly milk explosions! You can get a bag of 100 pipettes for $7 on amazon. Totally worth it. We use them all the time! 3. Dip one end of a cotton swab in dish soap, then gently tap on the surface of the milk + food coloring. Be amazed! A still photograph cannot fully capture the mesmerizing motion of the color. Totally hypnotizing! 4. Lay a piece of paper gently on top of the swirly color, then lift up for the big reveal! 8 sheets per pack for $1. I usually cut them in half or quarters for the projects we do… it’s a fun way to make your regular water color a little more exciting too! Milk, like oils, is a non-polar molecule. AKA- it doesn’t dissolve in water. Just like when you wash your hands, the soap comes in and “grabs” hold of those non-polar molecules, allowing them to be washed away. In our experiment, the fat molecules swish and twist around as the soap molecules race to connect. Since we have color resting on top of the milk, all that invisible activity becomes visible as the colors swirl along with the molecules. Milk with a higher fat content will produce better results since there’s more fat to combine with soap. We used 2% which worked just fine, but I’m itching to try some whole milk or even whipping cream.